This past week, temperatures in Chicago as low as -22 degrees left many homeless people fighting to survive. So a local woman helped start a group of volunteers to buy hotel rooms for those in need. 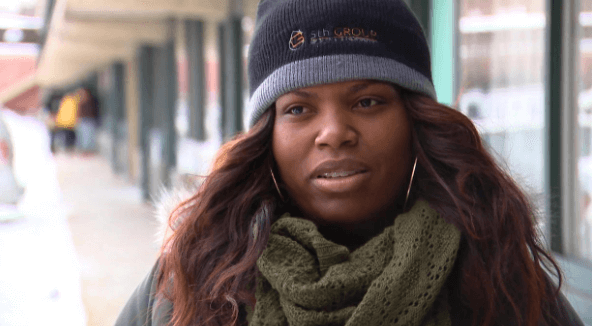 Candice Payne charged 30 hotel rooms to her own credit card for homeless individuals to have shelter during these freezing times. She posted about the rooms on social media and soon had an army of volunteers ready to help. The number of rooms soon grew to 60, finally reaching 72. The volunteers worked together to collect donations for more hotel rooms, find supplies, bring in food, and create a makeshift kitchen in the hotel for the guests. In total, they gave 122 people a five-night stay, saving them from the frigid temperatures. Two men called Payne their "angel." Ellen DeGeneres caught wind of the story and welcomed Candice on her show, presenting her with $50,000 from Wal-Mart, where many of the supplies to help the homeless were bought. Candice was brought to tears and told Ellen she had found her new calling—using her real estate background to provide housing for those who need it most. Truly remarkable.